We've never limited ourselves to just store fixtures. With our diverse abilities we can do almost anything. Hoffman Manufacturing utilizes Solidworks 3-D software to design and engineer all fixtures. With this software, we first build the fixture virtually in 3-D, ensuring it will work when constructed in the real world. Its rendition capabilities are also quite powerful. 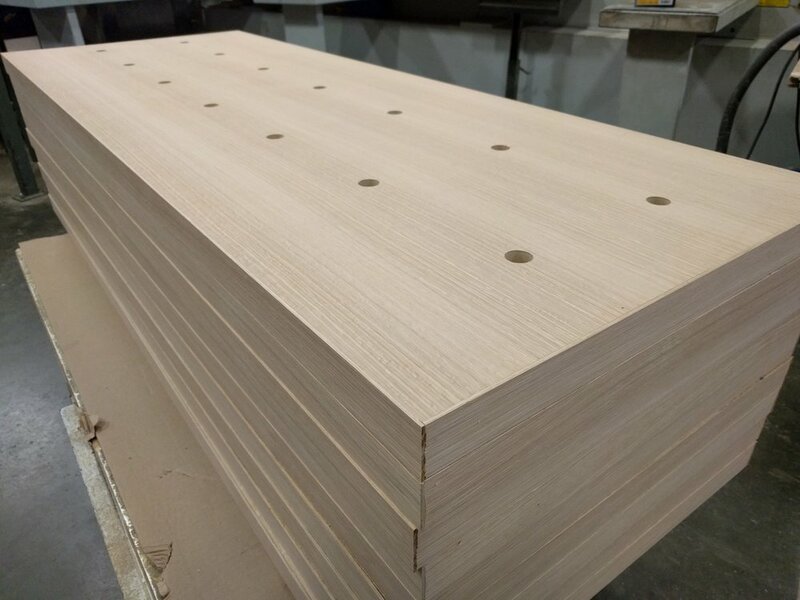 Our panel processing can work with all wood product sheet good and plastic. It starts at our 12' Holzma beam saw. From there, we have two Weeke machining centers, the larger one at 5' x 12'. Both utilize some of the newest techology from Germany. 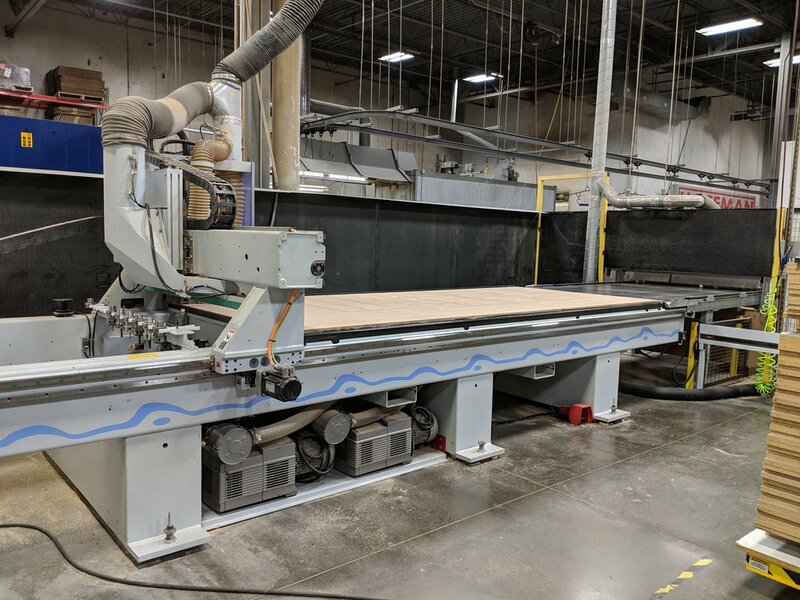 Edge banding is done on a modern Edgebander with 3mm roundover capabilities. Last year we added contour banding and trimming, both Brandt machines also. In addition, we can also cold press laminates on core board and post form laminate, such as used for countertops. Originally, we only built furniture with steel frames. This is still an integral part in store fixtures, but our range of products have expanded greatly. With our broad capabilities, we are able to fabricate any type of custom metal fixture. Our mediums include steel, aluminum, stainless steel, and brass. We have recently added an extrusion roller and can make curved railings and canopies. Many of our most exciting jobs have been decorative exterior aluminum fixtures. 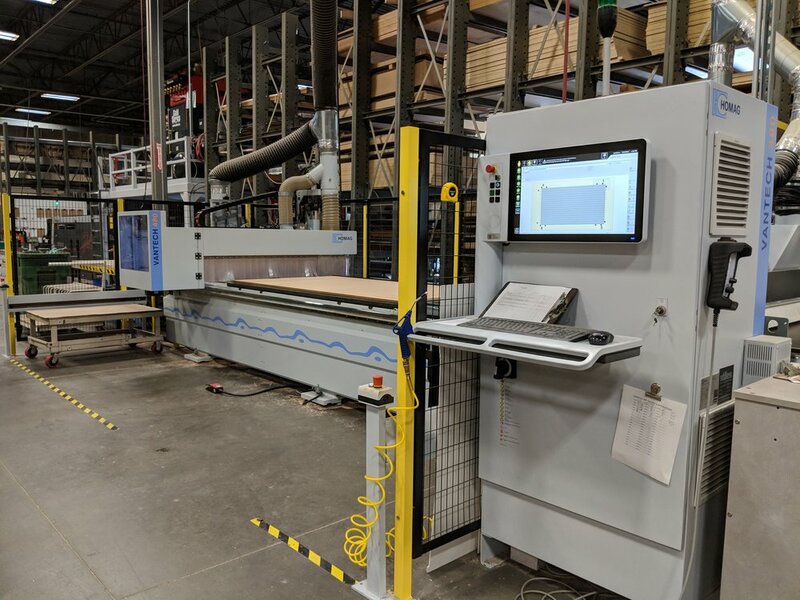 In 2018 we added a 2000 watt Fiber Laser and NC Brake to increase sheet metal capabilities. 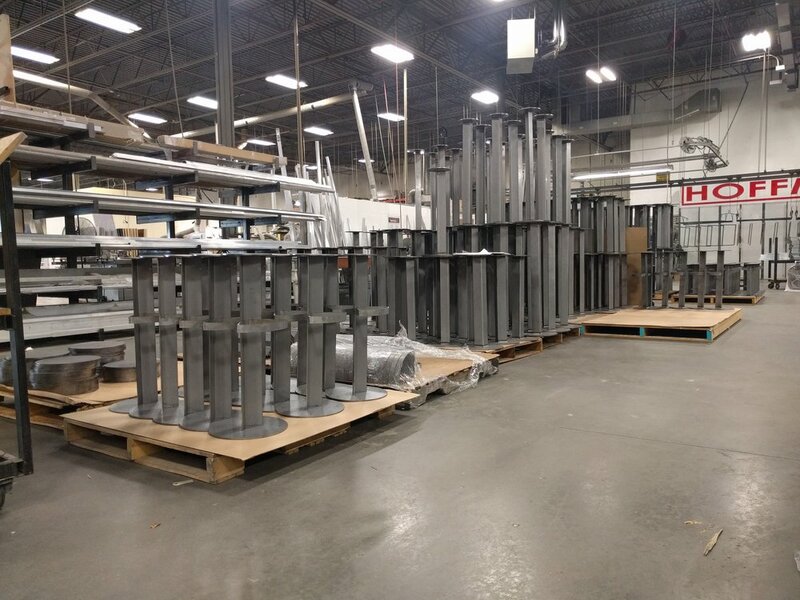 With the exception of stainless steel, the majority of our metal parts and fixtures are powder coated. This is an extremely durable and consistant finish. We also have experience in powder coating MDF but typically focus on metal. It all comes together in assembly. 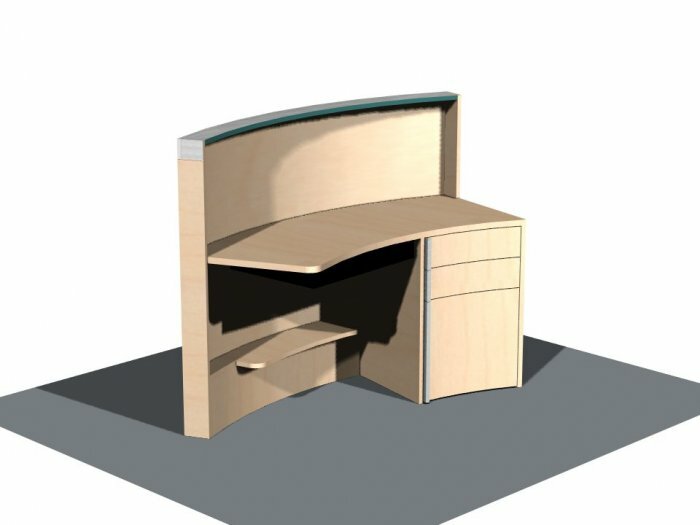 We have a broad range of skill levels from simple assembly to high end cabinet making. Hoffman Manufacturing is built on an ability to tackle an incredibly diverse range of products. Less than a mile away from HQ is our 10,000 square foot warehouse. We have a total of 30,000 square feet of warehouse. For shipments in Dane County, deliveries are made with our 25' straight truck. 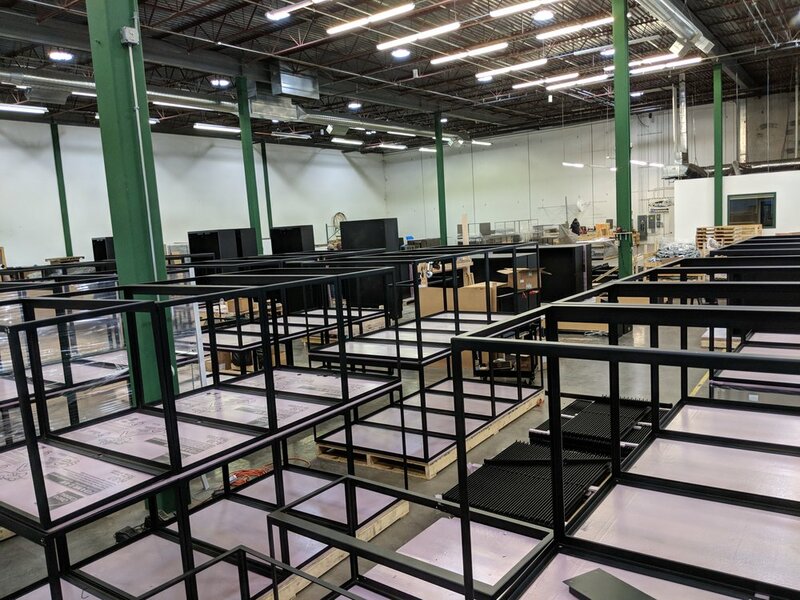 For shipments outside of our local area, Hoffman Manufacturing handles arrangement of rollouts and multiple shipment locations via carrier and dryvan.